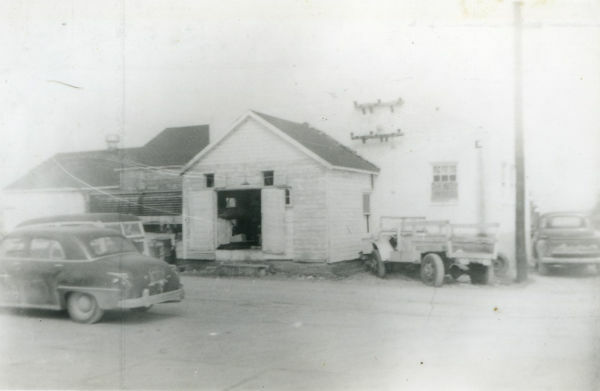 In 1938, Ocracoke was wired for electricity. A generator was housed in this concrete block building in what is now known as the Community Square. Currently, a retail store and ice cream shop occupy this building. Not only did this building contain the electric generator, it also served as a facility for producing ice, a valuable commodity used by fishermen to keep their catch cool for the journey to market. This photo was probably taken in the 1940s or 1950s. This building can be seen from another angle here.